The Roundup of all the Nonfiction Monday reviews is right here at Wendie's Wanderings today. First -- I just this minute heard that Tanya Lee Stone was awarded the ALA Nonfiction 2010 Sibert award for her wonderful book, Almost Astronauts: 13 Women Who Dared to Dream! Hurrah! I Love that book! “Almost Astronauts: 13 Women Who Dared to Dream,” written by Tanya Lee Stone, is the Sibert Award winner. 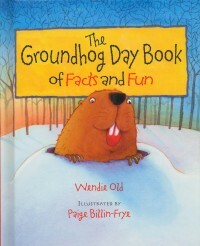 The book is published by Candlewick Press. -- and “Claudette Colvin: Twice Toward Justice,” written by Phillip Hoose and published by Melanie Kroupa/Farrar Straus Giroux, an imprint of Macmillan Children’s Publishing Group. And the YALSA Nonfiction 2010 (for teen readers) is Charles and Emma: The Darwins’ Leap of Faith by Deborah Heiligman. Excellent research. Excellent book. The Coretta Scott King Author 2010: Vaunda Micheaux Nelson, author of Bad News for Outlaws: The Remarkable Life of Bass Reeves, Deputy U.S. Marshal. Jim Murphy is the 2010 Edwards Award winner. His books include: “An American Plague: The True and Terrifying Story of the Yellow Fever Epidemic of 1793,” published by Clarion Books; (Yea, Clarion!) 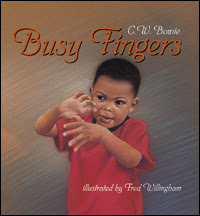 I think this is the one that also won the James Madison Award in addition to a Sibert. and “A Young Patriot: The American Revolution as Experienced by One Boy,” published by Clarion Books. -- Hey, Jim is young yet. He'll be producing many more books. I"m already registered for ALA and neglected to sign up for the Margaret A Edwards banquet. Gotta go change that. This week Kim Hutmacher at the Wild About Nature blog, has a review of Under the Snow by Melissa Stewart. Sarah at In Need of Chocolate has reviewed Our Family Tree: An Evolution Story by Lisa Westberg Peters. Amanda Snow at A Patchwork of Books has a review of The Wonders Inside Bugs & Spiders. Lori Calabrese at at Lori Calabrese Writes! 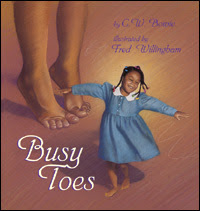 highlights a few nonfiction Martin Luther King, Jr. titles in celebration of the federal holiday honoring his birthday. Roberta at Wrapped in Foil has a review of the fun nonficton book, Animal Tongues by Dawn Cusick. Shirley Smith Duke at SimplyScience has a review of Arctic Foxes. By Carri Stuhr. Anna is finding out Who Was First? Discovering the Americas by Russell Freedman on her Lost Between The Pages blog. Susan has an overview of the Orbis Pictus winners at Chicken Spaghetti. The Orbis Pictus awards are given by the National Council of Teachers of English. Becky Laney at Young Readers (zero to eight) reviewed The Champion of Children: The Story of Janusz Korczak. By Tomek Bogacki. 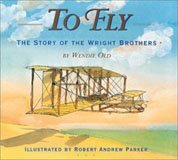 Jone at Check It Out discovered that two of the Sibert winners were also chosen as Cybils nonfiction picturebook finalists. Over at Shelf Employed is a review of Years of Dust by Albert Marrin. Bri over at Bri Meets Books reviewed Animal Rights: How You Can Make a Difference. Good morning. Did you get your writing done? Animal Tongues? I've gotta go see that one. I'm in with a post on the Orbis Pictus winners. Thanks for hosting! My review is for Years of Dust by Albert Marrin. Thanks for hosting! I reviewed Animal Rights: How You Can Make a Difference at my website.